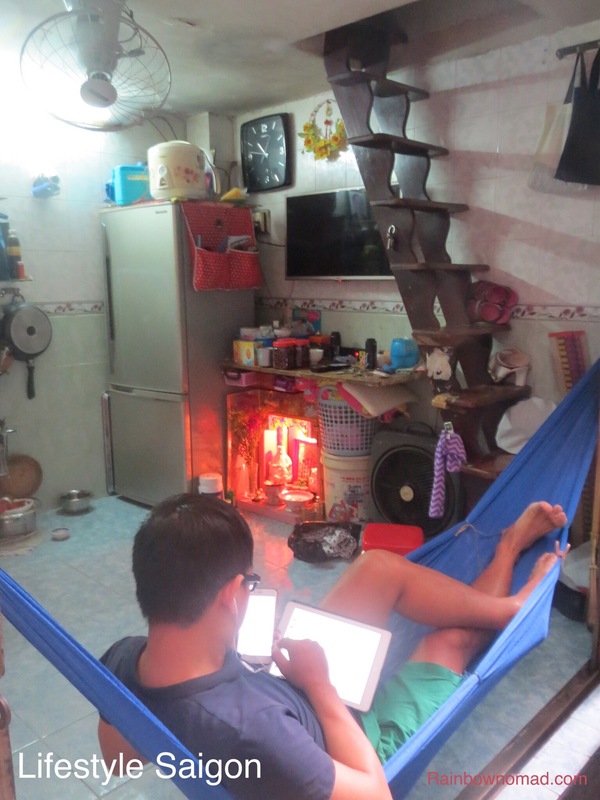 Surviving Saigon in style means arriving in December at the start of the cool, dry season and knowing your way around. We arrived at Tan Son Nhat airport at 4.30pm in the rain. It was the last day of November. Walking around the arrival forecourt looking for our names on a hotel transfer board – in vain – we reluctantly tackled the taxi rank looking for a metered vehicle. We set off into the after-work traffic, having forgotten how motorbikes use every possible method of travelling forward, even footpaths. We felt like we were in a hive of bees. 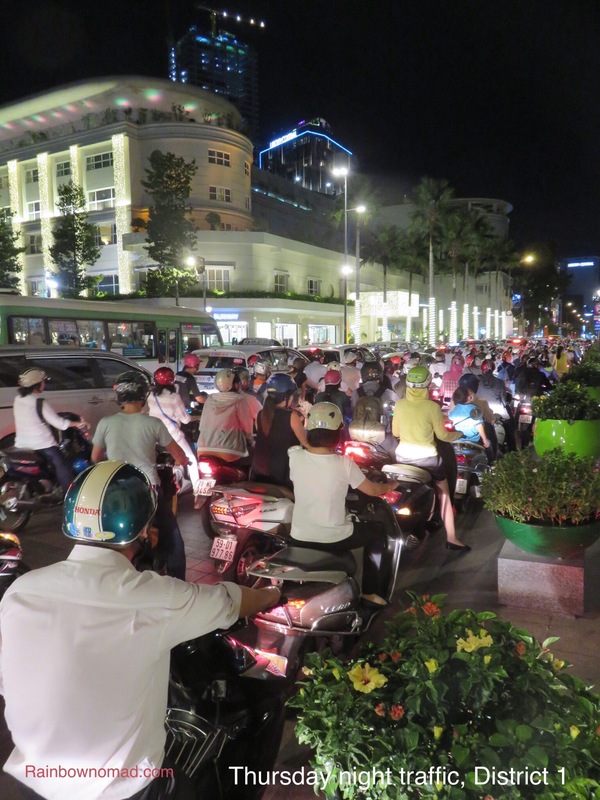 Saigon is a city of 13 million people and 8 million of them own motorbikes. Our hosts for the evening were wonderful colleague Minh Hanh and her daughter Quynh, who took us to the Maria seafood restaurant in District 3. Twelve year old Quynh loves animals, so we spent some time googling echidnas and platypus on her Mum’s iPhone, to tempt her to consider Australia as a future study possibility. The following morning we set off for the Christina Noble Children’s Foundation for disadvantaged children , also in District 3. We had seen the biopic, Noble, by chance last Christmas. It tells the story of how Christina rose from a childhood of poverty and abuse in Dublin, to start her Foundation in Saigon in 1989, with virtually no resources but an iron clad determination to help street kids in Viêt Nam. To date, she has lifted over 500,000 children out of poverty and disadvantage, through educational opportunities and medical asssitance, both in Viêt Nam and Mongolia. 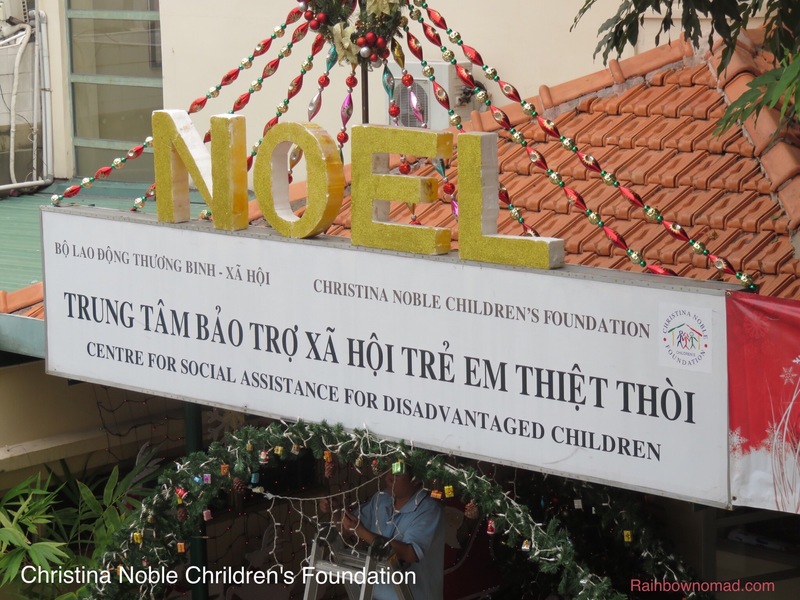 Together with 2 young women from Melbourne, we were shown around the Saigon facility – not an orphanage. In the kindergarten we were besieged by 15 excited 3 year olds, all wanting to drag us off to their toys or jump into our arms for a hug. In the medical facility for very young children with cerebral palsy or the ongoing effects of Agent Orange, we met two local physiotherapists and a young volunteer from Brisbane. One little pet fell asleep in my arms and had to be lifted up, so I could use my hands to get up off the floor. After an hour and a half, we left feeling truly inspired by this Foundation, which is obviously looking for more young volunteers and sponsorship from wealthy Westerners. While we could understand a Christian theme at CNCF, we were intrigued by the focus on Christmas and its decorations everywhere else. 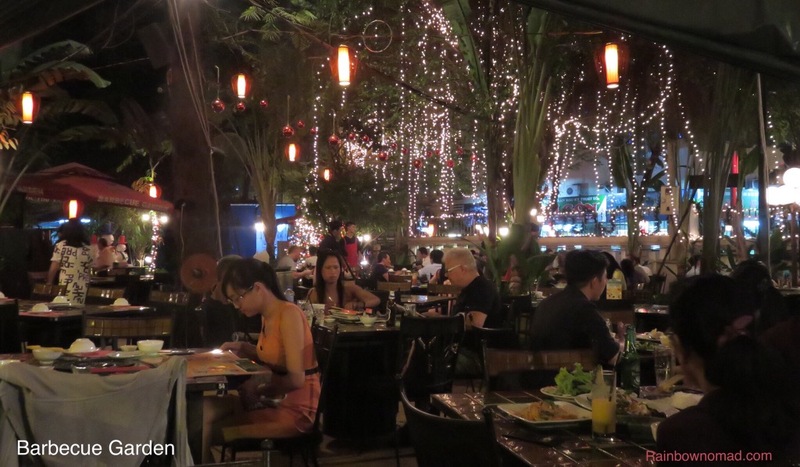 Saigon in December would put most Christmas light tours in Australia to shame. Santas, reindeers and snow were everywhere in the downtown area. 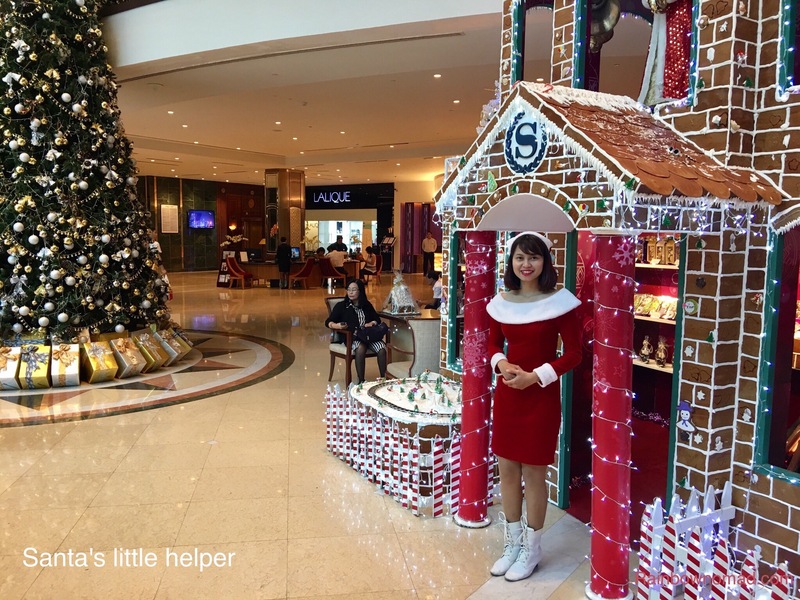 This was most evident in the Sheraton Hotel which sported a huge gingerbread house and staff choir singing carols. 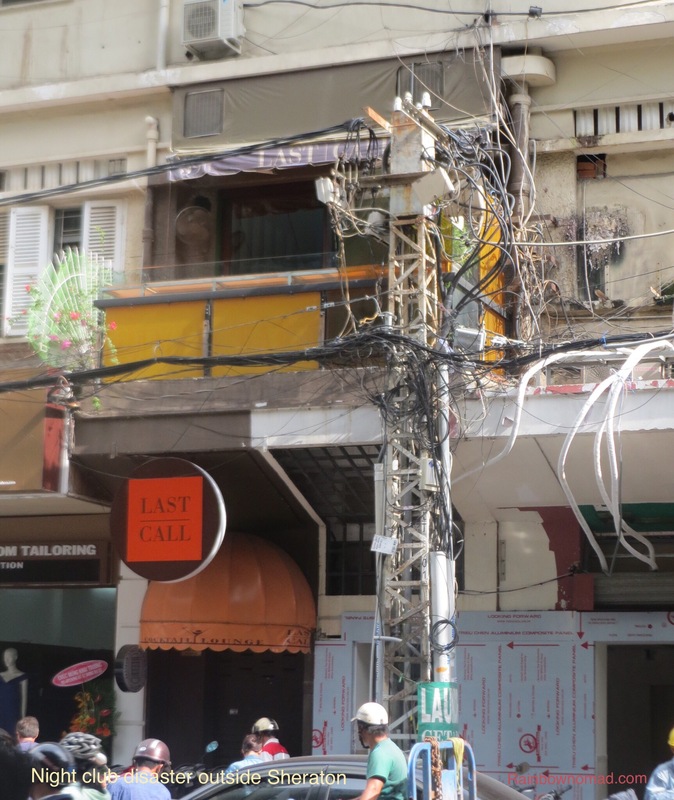 Opposite this 5 star hotel is a burnt out nightclub, advertising Last Call and a jumble of electrical wires, indicating that perhaps the odd short circuit may result in catastrophes. Our lunch was spent in a Pho24 restaurant, where we ate pho bo, beef noodle soup served with fresh mint, basil, bean sprouts and a lime wedge which all go into the soup. We set off down Dong Khoi street past the Opera House, where a Japanese-Viêt Nam consortium is building Viêt Nam’s first metro. This will be finished in 2020 and is mooted to cost over US$2 billion. Hopefully it will reduce some of the motorbike congestion on the streets. The majestic Continental Hotel is opposite the Opera House. The hotel was made famous, during the infamous wartime period 1954-1975, for accommodating journalists, including Graham Greene, who wrote The Quiet American, largely based on his own experience of the early CIA intervention here. 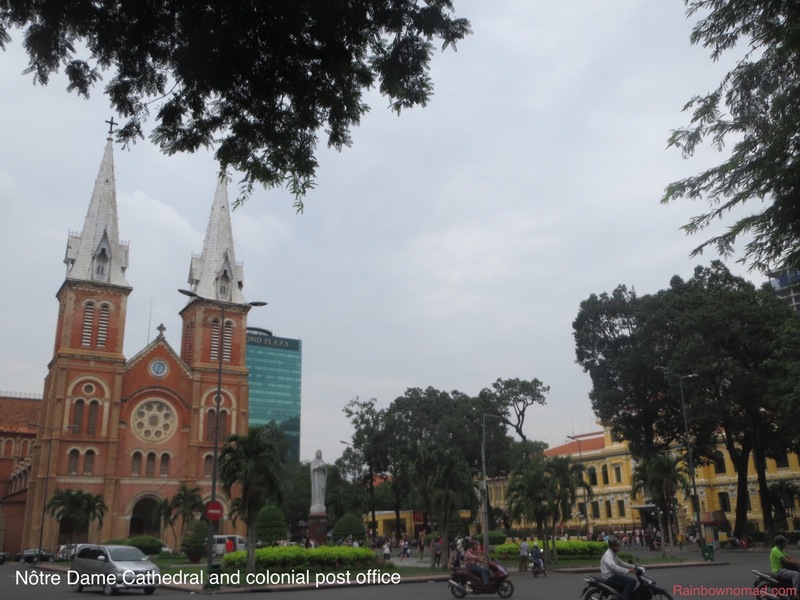 Continuing up Dong Khoi, the influence of French colonialism remains in the large roundabout near the Notre Dame cathedral and the old Post Office, built in 1898. 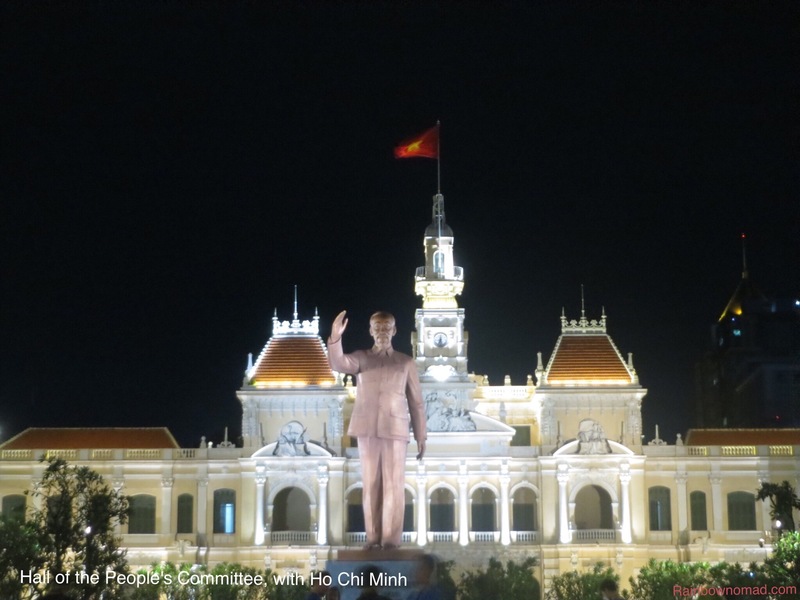 We walked up Nguyen Hue street which is a pedestrian mall, created to celebrate 40 years of independence in 2015, towards the Hall of the People’s Committee and Ho Chi Minh’s statue. We were on a mission to locate the Ben Thanh market. This is where Mr Bargain Hunter could indulge in his bargaining skills. On route, we popped into a local salon for quick haircut and manicure and returned through the small laneways of Yersin St, where the true nature of Saigon was on display. Our evening was completed by a trip to the Barbecue Garden, where we feasted on BBQ prawns and local beer and were welcomed and farewelled by a large Santa puppet, playing Jingle Bells on a saxophone!